HSRT will produce five mainstage productions and two Theatre for Young Audience productions. Auditions for the 2019 season have been completed. Check back in October when we will announce 2020 audition dates. Find information about Emerging Artist Initiative auditions. Non-performance positions and internships are available in arts management, stage management, lighting, sound, scenery, costumes and props. HSRT: Elephant & Piggie's "We Are In A Play!" 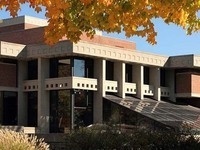 Hope Summer Repertory Theatre at Hope College has been awarded a $15,000 project grant from the State of Michigan Council for Arts and Cultural Affairs (MCACA) in support of HSRT’s forthcoming 48th season.